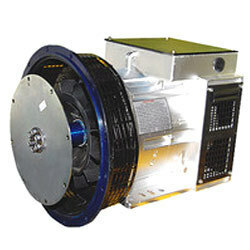 We are one of the leading Suppliers and Traders of different kinds of Three Phase Slip Ring Alternator. These products are of superior quality and are widely appreciated for their optimum performance. On offer from us is a vast array of Three Phase Slip Ring Alternators. Our offered range is widely used in agro industries. Inbuilt with high motor starting capacity and high grade carbon brush holder assembly, these alternators are highly durable and can be used in harsh conditions. Looking for Three Phase Slip Ring Alternator ?